Design Engineering, Inc. provided all engineering services required for the preparation of preliminary plans, final plans, specifications and bid documents, resident inspection and construction administration. 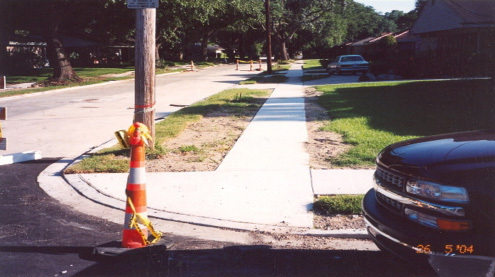 The services included storm water drainage design, pavement design, development of construction cost estimates, full-time resident inspection, review of contractors pay estimates, preparation of plan changes and field change authorizations, and other construction administration duties. 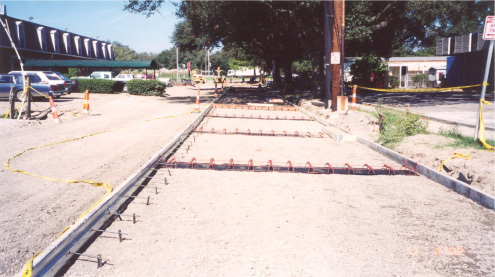 The plans and specifications included asphaltic concrete and concrete pavement sections complete with base material and curbs and gutters, subsurface drainage, water and sanitary sewer installation, grade adjustments, intersecting street transitions, concrete driveways, concrete sidewalks, handicap ramps, water main crossing over existing box canal, damming of the existing box canal for drain line tie-in, and details for protection of existing oak tree roots. The Engineer provided design calculations, plans, specifications and cost estimates. 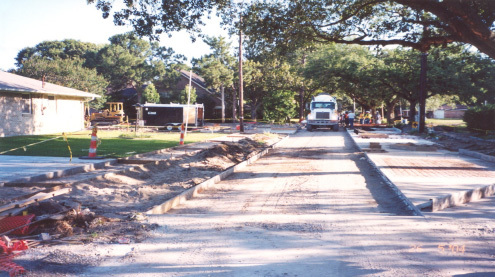 This project consisted of reconstruction of Chatham Drive from Filmore to Robert E. Lee, including 3,400 linear feet of roadway, a subsurface drainage system, sewer and water systems and utility relocations and replacement.